No two contractors are exactly alike – so QuoteSoft Pipe is customized to fit your every need. 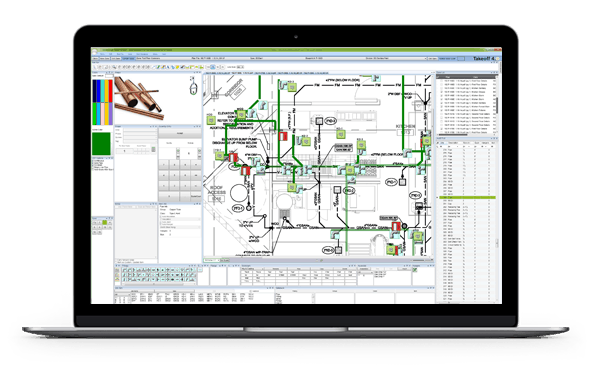 QuoteSoft Pipe estimating software is a powerful software solution for plumbing, piping and mechanical contractors who need a simple to use tool to estimate labor hours and material costs for pipe, valves and fittings. Preparing accurate takeoffs requires a tremendous amount of knowledge, materials, specifications, labor rates, and factors. Finding people with the right skills is not easy. QuoteSoft Piping offers an alternative. By customizing QuoteSoft with the knowledge of your senior estimators into company-standard data tables, takeoff can be done by new estimators and project managers and your senior staff can focus on working the crucial takeoffs that will ensure winning profitable jobs and improving the bottom line. Built around a database with over 110,000 standard items. We’ve included data from major manufacturers of pipe, valves, and fittings to customize for your use. We walk you through a comprehensive process to design and implement a custom solution to fit your specific needs. Over the phone and over the web our techs work with you to refine your estimating process. With QuoteSoft’s specification driven takeoff you simply select the size, and automatically the appropriate type of pipe, valve’s, fitting’s, flange’s, and hanger’s, are immediately ready to be input, right down to the specific manufacturer. With the power of the spec, you can input the right item at the right size every time. For items that are outside of a specification, QuoteSoft allows you to select any item from the entire database at any time. QuoteSoft is specification driven, not specification limited., flanges, hangers, and specialties. The included labor database provides user modifiable standards for MCAA hours for each of the items in our database. QuoteSoft is the ONLY program that shows you the labor hours and material from the database during takeoff. Streamline your estimating takeoff by using assemblies. QuoteSoft Piping includes hundreds of industry-specific assemblies. We walk you through changing and modifying any assemblies required to meet your individual specifications. Download your labor and material takeoff to Microsoft Excel for your custom final bid summary. Our standard spreadsheet includes equipment, fixtures, labor rates, rentals, and all job-related costs. Interoperability: Integrate your estimating system with cloud and back-office operations. Integrated export module include customizable CSV, DATABASE, XML formats. Custom export formats available. When working with “What If” scenarios, QuoteSoft Piping is the ideal estimating and project management companion. Alternate specifications can be quantified while preserving your original bid because of our specification flexibility allows you to create “What If” scenarios, giving you more control when creating and modifying your bids. Automatically mark-up electronic plan files with: On-Screen Blueprint – PDF – Dodge Plan – isqft.com – AutoCAD. Increase your bid volume and improve your labor hour & material cost accuracy with QuoteSoft mechanical estimating software, featuring our easy set-up, simple takeoff, on-the-fly pipe generation, instant global changes, and easy integration with BIM and CAD software. Built-in Harrison codes and prices. Harrison CINX launch partner. Access real-world data for accurate estimates. The simplest way to change a specification or hanger during takeoff. Data processing, conversion and normalization on QuoteSoft servers. QuoteSoft Piping can be installed on as many computers as you need and automatically keep track of the number of users and jobs through the company network. QuoteSoft software is scalable: it can grow with your company. You can purchase multiple stations for additional estimators to use the software simultaneously. Our software can scale from a single computer, to dozens of computers in a network and still make it easy for you to bid your jobs, and share the job and bid information throughout the company. One year technical support and training subscription. Harrison or Tra-ser national automated pricing. (subscription required). Allpri$er national pricing (Canada). (subscription required). Process piping, plumbing, HVAC, and industrial materials included. Project-based flexible assemblies that can be used for any size or material type. On-the-Fly assembly creation and modification. Custom Reports plus over 40 standard reports. Custom Excel generator with customizable bid summaries and reports. Customizable digitizer drivers takeoff template. QuoteSoft Piping BIM provides a direct link for exporting estimated data to AutoCAD BIM. 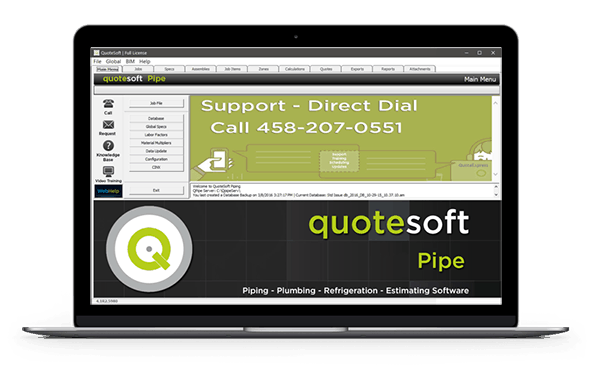 Contractors using QuoteSoft piping and plumbing software are four times faster than manual estimators. If you spend even 10 hours a week estimating and doing change orders, QuoteSoft Piping can easily pay for itself in saved labor costs. Prepare more bids without adding staff, thanks to QuoteSofts’ customizable database, pre-loaded labor tables, and time-saving entry functions. We help you improve your win rate with accurate, consistent bidding with precise control over your costs and variables. 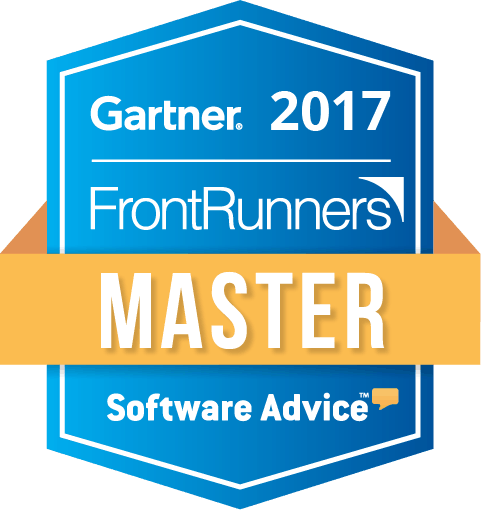 ASK about receiving CREDIT from QuoteSoft for your current “one size fits all” estimating system! Networking Enhanced network capabilities with log-in requirements and security settings. Users aren’t locked out of the program while in database and material multiplier table. Database and Specifications Multiple types of hangers and depths of excavation can be built and toggled on in Takeoff. Groups and subclasses can be copied and modified. Bitmap images can be attached to any item in the database. Pricing Importing utility from Harrison, Tra-ser, or Allpri$er can be mapped directly into the database. Any Harrison, Tra-Ser, or Allpri$er items can be added to the database at your request. Ability to export/import any material category to Excel for “real-time” pricing to any supplier. Support services including BIM data migration, file type conversion, job data storage, average hour cost consulting, labor analysis and normalization using quotesoft server cloud drives. Audit trail Audit trail that can be sorted by item, size, and quantity. Select multiple items in the audit trail to change sizes, quantities, and multiples. Copy or repeat any item or items in the audit trail. Quickly and easily insert a row into the audit trail. Takeoff Assembly for generating 90 degree elbows while you take off pipe. A double touch at the end of a pipe run is the same as an Enter key. Switch to different hanger types and excavation depths on the fly. Ability to generate different hanger counts based on pipe selected. No need to toggle hangers on or off with vertical pipe takeoff. You don’t have to take off identical runs twice with a multiple feature. Enhanced digitizer interface Continuous method of takeoff in addition to pairs method of takeoff. Multiples can be turned on so you don’t have to take off identical runs twice. Bookmark Select any item from the database and bookmark the item for faster retrieval. Multiple bookmark categories that can be stored. Assemblies Assembly filter so you only see assemblies that apply to the spec that you are using. Ability to take off assemblies without exiting Takeoff. Preview of assembly on screen with both audit trail and picture shown. Job Items Preview of Job Items all on one screen. Tag a Job Item with different categories and export to a different tab in Excel. Reporting Users can have multiple selected zones and change material types without going to each zone separately. Subtotals of zones, manufacturers, specifications for hours and materials. Excel Interface Users can sort a job and subtotal by Spec, Zone, and Blueprint Number. Export of job items into Excel report. QuoteSoft Piping Cost Codes Module allows you to import your custom accounting Cost Codes into QuoteSoft. Then you can apply those codes to your specs, assemblies, and job items in your templates – so you only have to enter them once! You can set the average feet per man day for each Cost Code, as well as quantity per man day. You can adjust your labor factors by cost code in excel and see your feet or quantity per man day. Compare to your averages in your excel reports. QuoteSoft support and training personnel come from the industry. Former pipe fitters, sheet metal workers, and plumbers, as well as computer techs are on-call to answer your estimating questions. Learn more about our support services including BIM data migration, file type conversion, job data storage, average hour cost consulting, labor analysis, and normalization using QuoteSoft server cloud drives.